Optimum pressure regulation is available by changing loading pressure according to secondary pressure and flow rate. 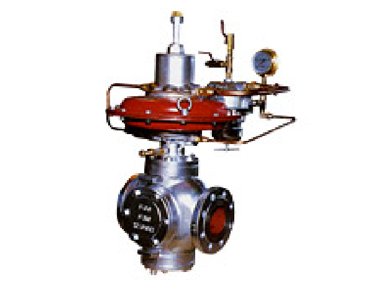 Convenient to operate by closely installing start and stop operation valves. Combination with reverse pilot can be used as a relief valve. Reduced primary pressure moves the valve to closing direction.